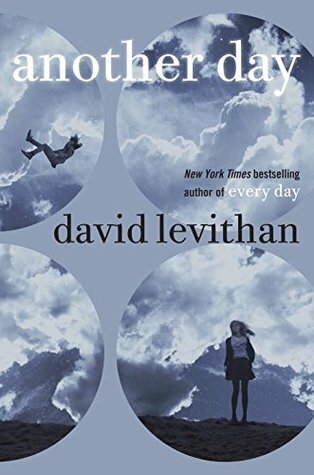 I didn’t hesitate to request this book in NetGalley because first and foremost this is David Levithan, next is this is the prequel for his book Every Day which I love the most. Without looking at the blurb, I requested it and when I tried reading it for the first time that’s the only time I found out that this book is focused on Rhiannon. To be honest, it is hard to do a review for this book. My thoughts are divided into both 80% positive and 20% sort of negative. Let’s start with the negative? Well it’s not as bad as you think, it was just I got a little disappointed because I was expecting that there will be a new story for A. I was really looking forward for more, will A be happy despite his situation? Will he stay in one body? What will really happen to him is what I really know. But this book is more about Rhiannon, I’m just glad that they met like that. On the other-hand (the positive side), I like this book, Rhiannon’s point of view is different but interesting as well, her life is a mess, I didn’t think of it that way when I was reading Every Day. All I knew was it is good for A because he finally have a motivation to stay. He loves Rhiannon and he is willing to do anything just to stay in one body and be with her. I like this book because I learned more about Rhiannon’s life before and after she met A. It is good to know that “Okay this is what happened during the scene in Every Day”, “this is what Rhiannon think back then”, “so this is how they met” so on and so forth. The feeling of comparing and matching two books for me is really satisfying. It was like I’m reviewing from every scene that involves A, and as I move forward the more I learned about who Rhiannon really is. She isn’t that stupid as for the first parts of the book though at least at the end she learned how to give value to herself. So far I enjoyed reading this one. I just hope there will be a positive outcome for A. Will there be a next book? PLEASE?